Access our online registration site to create a new account or log in to an existing one. Once you create an account, our secure site will save your information so that you can easily register for more programs in the future! Log back in to register for new programs, update forms, make payments on your balance and more. Just click the Log In button below. Our new registration was launched in 2016. 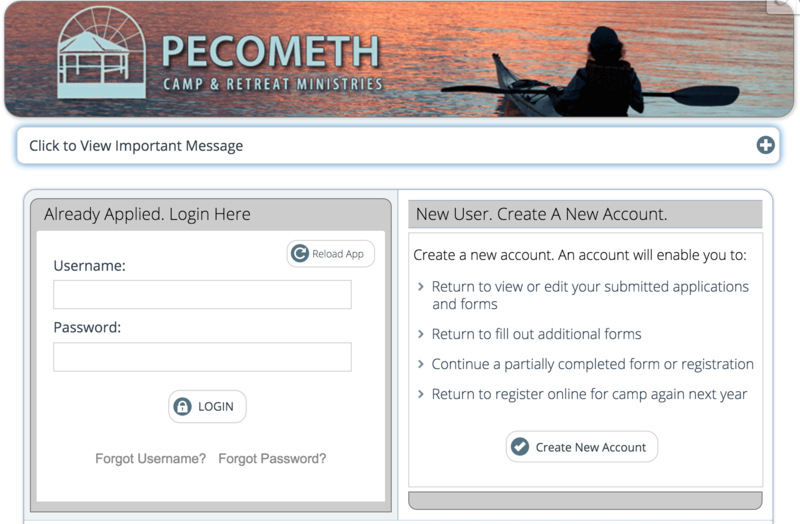 If you registered online for a Pecometh camp or retreat program last year, you can simply log into last year's account! If you need help remembering your log-in details, use the instructions on the log-in page, or give us a call at 410-556-6900. For help registering for Summer Camp, Day Camps, and Respite programs, go to our Camp Registration Page or contact Julie Lutz (410-556-6900 x128). For all other Pecometh Programs, Retreats and Trainings, contact Megan Shitama Weston (410-556-6900 x104).